Whether you have a natural birth or a C-section, the process of collecting your newborn baby’s stem cells is safe, painless and non-disruptive to your birth plan. The collection of cord blood and cord lining stem cells is a very simple process that poses no risk to you or your baby. 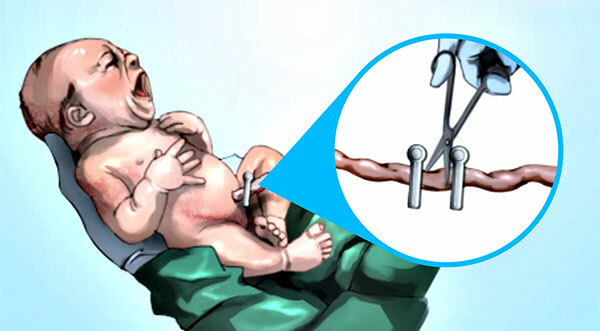 After your baby is born, the umbilical cord is clamped and cut by your OBGYN (obstetrician / gynaecologist). That is when a needle is inserted into the umbilical cord to collect the remaining blood which would otherwise be discarded as medical waste. Our collection bags - AABB approved and heparin-free - are sterile for both C-section and vaginal births and are simple for your doctor to use. 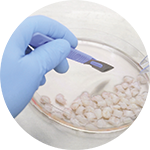 If you also decide to collect the umbilical cord lining, the umbilical cord is cleaned, a segment is placed into the provided collection jar, and it is sent back to our lab with the cord blood bag. Once collection is done, your OBGYN or midwife will seal the bag, attach the pre-printed labels with your information and place it in the Cordlife collection kit. From your delivery room, to our lab. After you have notified us of your delivery and reviewed the kit’s contents and pre-printed labels, a medical courier will pick up the collection kit from your hospital room and deliver it to the Cordlife processing and storage laboratory. 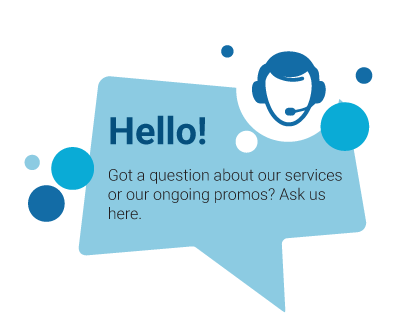 We will notify you as soon as your kit arrives at our laboratory. Please note that the final decision of whether the cord blood collection should take place will always reside with your OB-GYN whose first priority is the safety of you and your baby. After your baby’s cord blood has been collected, your OB-GYN will clamp and cut a segment of the umbilical cord. This cord will be stored in a sterile container provided in your Umbilical Cord Collection Kit. 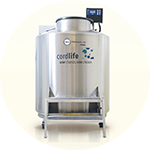 The umbilical cord collected is then sent to Cordlife's laboratory for processing and cryopreservation . Prior to umbilical cord processing, the identity of the umbilical cord collected is verified by our laboratory technologist to ensure that the unit belongs to the right client. All subsequent steps are performed in a biohazard safety cabinet to further eliminate the risk of contamination. The umbilical cord is further processed, cleaned with wash buffer solution and segmented into small pieces. 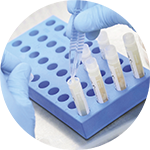 The sterilized tissue sections are then transferred into multiple cryovials added with cryoprotectant solution to safeguard the viability of the stem cells in the tissue sections during cryopreservation. 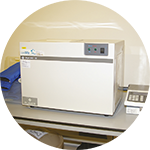 Once the cryoprotectant solution has been added, the tissue sections are frozen gradually in the controlled-rate freezer, where the temperature is lowered by 1-2°C per minute to preserve the viability of the stem cells. After the controlled-rate freezing process, the cryovials are transferred into a MVE anti-contamination vapour-phase liquid nitrogen storage system for long term cryopreservation at -190°C.